Minimal materials.Maximum transparency. Simple to use. This range is an ingenious combination of lightweight furniture that is comfortable at the same time. So what could be more logical than to add a visitor and standard office swivel chair to the concept? 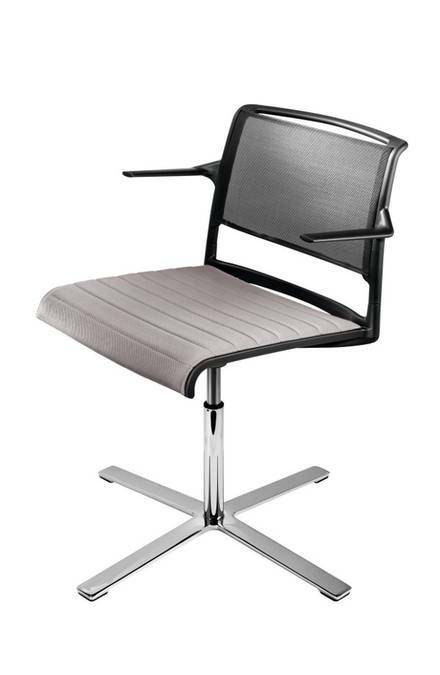 The visitor swivel chair has a flat, four-arm star base and the transportable, height-adjustable office chair has a vertically aligned, fivestar, diecast aluminium base. Similarly to the swivel pedestals, they are bright chromium plated and therefore particularly robust. Both models have a contact suppression feature and are very flexible. As a result, they are very comfortable for a range of applications, for meetings, discussions, showrooms, reading rooms, Internet cafés or at your desk at home.